Coast & Country - Ready to become a rural catch? 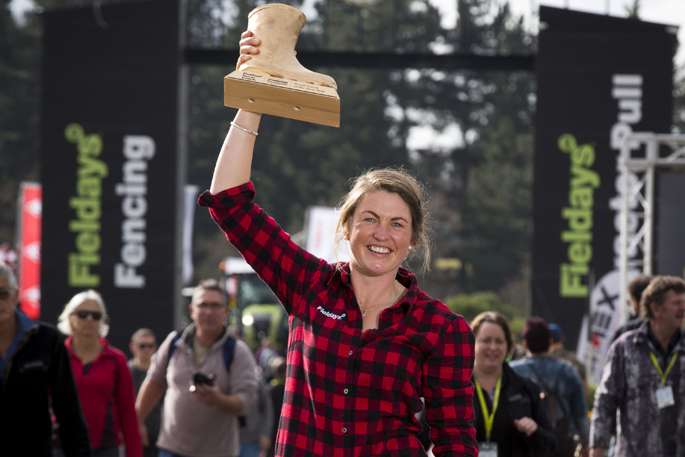 Winner of the Rural Catch, Mairi Whittle, celebrating at Fieldays 2018. Photo: Supplied by Fieldays. Rural singletons – both men and women – and have only days left to enter the 2019 Fieldays Rural Catch competition. The contest offers rural men and women the chance to represent the farming community in a week-long, all-expenses-paid trip from June 9-15 to the Southern Hemisphere’s largest agricultural event. Finalists will compete in daily challenges designed to test their skills both on and off the farm. There’s also opportunity for finalists to mingle and charm their fans, both at Fieldays and various evening functions, during the week. Not only are the finalists a catch for any potential love interest but their rural skills and knowledge of agricultural business makes them a catch for any employer, business partner and the wider ag-industry. The winner walks away with the title ‘Fieldays Rural Catch 2019’, an impressive prize pool worth more than $20,000 thanks to sponsors, and the coveted ‘Golden Gumboot’ trophy.